Are you looking for an affordable, stress-free field trip or outreach program that fosters an appreciation for nature? 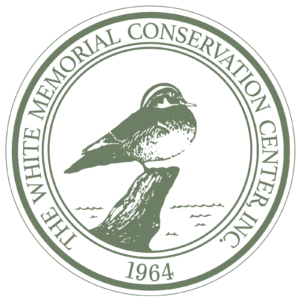 Look no further than Litchfield Hills’ own White Memorial Conservation Center! School groups, homeschool organizations, scout troops, libraries, garden clubs, and all other groups with participants ranging from preschoolers to adults are encouraged to schedule a nature experience with us by calling 860-567-0857. 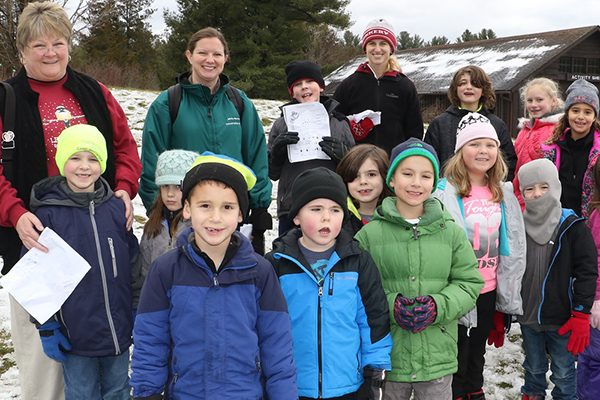 Located conveniently off of Route 202 in rural Litchfield, CT, White Memorial provides an array of opportunities to learn about our natural world for groups as small as 10 students to as large as 120 at a time. White Memorial Conservation Center is nestled within the 4,000 acre wildlife sanctuary of The White Memorial Foundation. This expanse of diverse habitats provides an ideal “outdoor classroom” for promoting awareness, understanding, and respect for the natural world. White Memorial is known for its 40-mile network of hiking trails, including a newly-updated self-guided Interpretive Trail that leaves from the Main Area and makes a convenient 1/2 mile loop. The use of our entire 4,000 acre outdoor property is completely free and open to the public. Challenge your students with this Outdoor Scavenger Hunt. You may also choose to visit the Gift Shop (in the yellow building) while you’re in the Main Area. Did you know we also have a quality, interactive Nature Museum that captivates people of all ages? The discounted group fee for Museum admission is $3/person (must be 10 or more people). Feel free to use this Museum Scavenger Hunt if you would like to further engage your students while they go through the Museum. To top it all off, we offer over three dozen guided education programs to choose from, taught by experienced professional educators and often including live animal encounters. White Memorial Conservation Center has established a tradition of providing quality environmental education programming since 1964. Our programs complement Next Generation Science Standards, as well as CT Curriculum Standards and CT ELD Standards where appropriate. Let us help you incorporate environmental education into your curriculum, or enhance your current studies. Programs (listed below) take place either in the classroom of the Nature Museum or out on the grounds of White Memorial. Typical programs last 45 minutes and cost $95 each (max. 30 people per program). Due to the time it takes to meet multiple badge requirements, scout programs last up to 1 ½ hours and cost $120. If you book just one of our education programs, admission to the Museum becomes FREE! We don’t want budget restraints to be the reason why your students aren’t getting exposed to nature. So, we try to make our opportunities as affordable as possible. We even have financial aid available to qualified schools. A program followed by an asterisk symbol (*) not only works well for traditional classes, but also works for libraries and other groups consisting of the general public and families, even adult groups at times. If you do not see a program that meets your needs, we can customize a program for your group. From hiking a trail to visiting the Museum to participating in a guided program, there is so much to do here! Rotations can be set up for larger groups. When lunchtime rolls around, we have plenty of lawn space and picnic tables for your whole group. Unlike some of the larger museums and field trip destinations in the area, White Memorial is nestled in a rural environment that is easy to get to and uniquely serene. We don’t get flooded by big crowds and you sure won’t encounter many traffic jams around here! You also won’t feel like you’re getting funneled through a never-ending procession of school groups. Frankly, we think you’ll find the atmosphere here pretty laid back, which is the perfect setting for learning about the beautiful natural world around us. Can’t make it to us? We’ll come to you! Most of the education programs we offer onsite can also be presented in your classroom. Many of them even include the appearance of a live critter or two, such as a snake or bird of prey! Program descriptions are listed below, along with the Next Generation and CT Science Standards they complement. A program followed by an asterisk symbol (*) not only works well for traditional classes, but also works for libraries and other groups consisting of the general public and families, even adult groups at times. If you do not see a program that meets your needs, we can customize a program for your group. Typical outreach programs last 45 minutes – 1 hour and cost $175 plus 58¢ per mile round-trip from White Memorial. Replicate programs (on the same day) are $130. Maximum audience size for one outreach program is 50 people. More than 50 people is considered an assembly, which costs $210 for the first assembly plus 58¢ per mile round-trip from White Memorial. Replicate assemblies (on the same day) are $185. We also offer a shortened outreach program for preschoolers (30 minutes), which costs $130 as opposed to the typical $175. The most appropriate programs for preschoolers are those listed below with CT ELD Standards accompanying them. Call 860-567-0857 or email carrie@whitememorialcc.org to schedule your nature experience with White Memorial Conservation Center! Once again, program options are listed below. Climate Change, Connecticut and YOU! Studying the distribution of wildlife allows us to generate hypotheses about their biology and habits. Using toothpicks known as “sticklers” to represent real creatures, we will simulate population dynamics in two distinct scenarios. After creating data maps for each population, participants will combine their data and interpret the potential factors that are influencing these “sticklers.” A live animal will be featured at the end. This program takes 1 full hour, so unfortunately, it does not work well in a rotation schedule. Onsite only. Plants have a life cycle, just like animals do. Using the more familiar life cycle of an owl for comparison, participants will understand similarities and differences between basic animal and plant life cycles. We’ll cover all aspects of the plant life cycle, including seed germination, growth, flowering, pollination, and seed dispersal. Several interactive activities are included, as well as a visit from a live owl, just for fun! One of our most popular programs, Animal Adaptations uses natural props, animals mounts, and a couple of live animals to illustrate the definitions of both a structural and behavioral adaptation, and how adaptations help animals survive in different environments. Participants will then be shown “mystery props,” such as a beaver tail and turkey beard, for which they will propose how those body parts serve as adaptations for the animals. * This program not only works well for traditional classes, but also for libraries and other groups consisting of the general public, families, and even adults. Using animal mounts and a couple of live animals as teaching tools, we’ll define (or review) the different levels of a food chain/web (using the terms herbivore, omnivore, carnivore, and decomposer for older groups) and find out what special features these animals have for acquiring their food. Watch our omnivorous turtle munch on a snack at the end. Onsite only. Do birds seem “over your head” literally and figuratively? Birding can become a fun lifelong hobby once you learn some of the basics of bird identification and observation. On this stroll, we’ll practice using binoculars while scoping the Main Area for common birds, which will be identified by sight and sound. Please wear appropriate hiking shoes and layers. This program can easily be modified for any age level, even adults. This program discusses the interconnectedness of all life in a forest community. Participants will understand this connection firsthand as they literally construct a community of forest creatures out of sticks. In addition, they will get to meet several forest residents up close to learn how each species is so important to the community they inhabit. * This program not only works well for traditional classes, but also for libraries and other groups consisting of the general public or families. Climate Change, Connecticut, and YOU! Climate change affects people and wildlife everywhere, even here in CT. The good news is, everyone, even kids, can help combat climate change. This program begins with a kid-friendly overview of the who-what-when-where-why and hows of global climate change using videos, discussion, and demonstrations. Next we delve into how climate change is affecting CT specifically, featuring a live appearance by a native spotted salamander. The programs ends with a fun game that explores how kids can make a real difference by reducing their carbon footprint. Using 2-3 live animals and many natural props, this popular program (which can also be called “The Wildlife Outside Our Windows”) provides a sampling of the fascinating creatures we have in northwest CT. We’ll discuss the natural history of each animal presented, as well as general biodiversity information for CT’s wildlife. A guessing game using natural props and a question-and-answer period are also included in order to broaden the audience’s understanding and appreciation of our native species. * This program works well for traditional classes and meets curriculum standards for specific grade levels, but can also work for libraries and other groups consisting of the general public, families, and even adults. Participants will impersonate animals, and even meet several live animals up close, to learn how wildlife, such as frogs, snakes, and fish move in unique ways to find food and water. Get ready to jump, slither, and swim! Food webs map out who eats whom in an ecosystem. Using a freshwater ecosystem as an example, we will assign each student to an organism and build an intricate food web out of yarn. Which ones are the producers, consumers, and decomposers? How about the herbivores, carnivores, and omnivores? We’ll also briefly touch on how energy from the sun is transferred to plants and then to animals in the food web. We’ll see how disturbance impacts the interconnectedness of the food web. Lastly, students will get to meet a couple charismatic live members of the freshwater ecosystem. This program corresponds well with the Pond Prowl program. What makes an insect and insect and why are they so important? Using artistry and actual invertebrate specimens, this program will teach young students what classifies an insect as an insect and why these cool and crawly critters are an integral part of any ecosystem. Onsite only. The White Memorial Conservation Center’s Nature Museum provides a glimpse into the natural diversity found throughout White Memorial Foundation’s 4,000-acre wildlife sanctuary. All education programs booked at White Memorial include admission to the Nature Museum for a self-guided tour. However, if you would like a guided tour of the museum, in which our exhibits will be interpreted by a staff person, please sign up for this program. Your group will get to delve further into the museum experience through engaging discussions and activities led by the tour guide. Onsite only. During this program, we’ll break down the four essential components of a habitat – space, food, water, and shelter. After a fun game reinforcing these components, we’ll use animal mounts and a couple of live ambassadors to learn about native animals that live in CT habitats such as fields, forests, and ponds. What makes something a living thing? Why is a rock not a living thing? To help young children understand what is living and nonliving in nature, we’ll use many natural props, animal mounts, and even a couple of live animals. Of course, being that we are animals, we’ll also discuss what makes US alive! Human activity clearly has a major impact on the natural environment and its inhabitants. Historically, much of this impact has been negative. After discussing several causes of species endangerment, we’ll take an interactive poll to find out how to make sure our environmental footprint for the future is a positive one. A couple of live animals and several natural props will enhance the program. During this unique nighttime experience, participants will learn that you don’t need light to discover the night! Using little or no artificial light, we’ll lead you down one of White Memorial’s trails, relying on our other senses to take in the wonders of nature. This program works well for groups that are staying overnight at one of our campgrounds or at The Carriage House, or even for adult groups! Weekday nights only. Onsite only. Must be scheduled at least 1 month in advance. Cost: $175. Lasts approximately 1½ hours. Maximum of 20 participants per hike. Please wear appropriate hiking shoes and layers. White Memorial, as well as many areas in CT, have three main ecosystems: forest, field, and freshwater. After an activity defining “ecosystem,” “biotic,” and “abiotic,” we’ll develop a food chain for these three ecosystems and talk about the flow of energy through them. We’ll also identify the role each inhabitant plays, whether as a producer, consumer, or decomposer. The program concludes with a couple of live animal encounters! Have you ever seen a dragonfly nymph or a water scorpion? Find out what aquatic macroinvertebrates live in a pond during a hands-on catch-and-release discovery session. Various themes, such as metamorphosis, predator-prey relationships, or adaptations, can be explored depending on the group’s needs. No matter what, plan to get your hands dirty! We recommend this program, our most popular, for both small groups and for large groups that need rotation options. Works for adults too! Onsite only. Just who-who-whoo are those big, beautiful birds of prey you see perched atop fenceposts by day or hear calling outside your window by night? This interactive presentation covers the hawks, owls, eagles, and falcons that call northwest CT home. You’ll even get to meet our two most common raptors, the barred owl and red-tailed hawk, up close and personal! * This program not only works well for traditional classes, but also for libraries and other groups consisting of the general public, families, or adults. Many people do not realize that there are endangered species even here in CT. Find out what local species are considered threatened or endangered, how they became that way, and what we can do to help them. You’ll even meet one of these animals up close. Also hear some success stories of animals coming back from the brink of extinction due to our conservation efforts. Works for all age levels! This program will show participants how to be accountable for their material usage and, ultimately, be better stewards of the planet. First, we’ll see how nature breaks down and reuses materials and nutrients. Using nature as our inspiration, we’ll then discuss the 4 R’s (reduce, reuse, recycle, rot – compost) that we can employ to decrease the amount of trash that ends up in our garbage cans or in the environment. Onsite only. Humans depend on the Earth’s natural resources. But, with over 7 billion people on Earth, those resources are getting used up fast! First, we’ll define/review “natural resource,” “renewable,” and “nonrenewable,” and show an array of everyday products that come from natural resources. Then we’ll take a tour around the outside of the Museum to see actual examples of renewable resources that are hopefully the wave of the future. Finally, we’ll brainstorm what actions we can take to preserve our global supply of natural resources. A live animal will also make an appearance! Onsite only. Seeds are basically baby plants and trees in really cool packages! Through the use of lots of sample seeds and engaging activities, we’ll discuss how seeds develop into plants, the variety of shapes and sizes that seeds are “packaged” in, and how they are dispersed. We’ll also see if our memory is any better than those seed-stashing squirrels! This interactive program literally puts your senses to the test. Participants will learn more about their own 5 senses as they compare them to the senses of several other animals, including a couple of live examples! We tend to overlook the smaller things in nature, but organisms such as fungi, mosses, ferns, and lichens are important components of an ecosystem. During this hike, we’ll take the time to appreciate each of these small wonders, plus any forms of tiny animal life that may cross our paths. Please wear appropriate hiking shoes and layers. Onsite only. People just don’t get outside enough anymore! Let one of our staff expose your group to the wonders of the outdoors on a guided nature discovery hike. We’ll identify and provide fun facts about several plants and animals, and explain their roles in the ecosystem. Groups are welcome to walk the trails on their own, but we provide this option because some teachers/chaperones find it more comfortable to be led by a trail guide. We also recommend this program for large groups that need rotation options. This program works well all age levels and ranges! Please wear appropriate hiking shoes and layers. Onsite only. Plants are simply amazing organisms, not to mention necessary for our survival! After a classroom discussion on the importance of plants, as well as an activity covering photosynthesis, we will go on a short walk around the Museum looking for notable examples of local plants. Onsite only. CT Curriculum Standards: 1.2.b, 3.2.a, 4.2.a, 6.2. The Litchfield Hills are alive with the sound of music … birds singing, toads trilling, coyotes howling! Join us for this program about the “music” of animals. Identifying animals by sound is a great way to get to know the creatures that call CT home. Participants will learn just “who-who-whoooo” is making those common noises we hear in nature. A live barred owl will make an appearance too! Take a leisurely hike through the woods and get to know our local trees better, including how they function and why they are important to us, and to other animals. We’ll do some interactive activities to reinforce these concepts. For the appropriate ages, we’ll also teach you some simple identification tricks for trees such as sugar maple, white pine, red oak, yellow birch, and more. Please wear appropriate hiking shoes and layers. Onsite only. Why do some animal babies look just like their parents while others look like completely different organisms all together? Animals are born and grow in different ways. During this program, we will compare and contrast the growth and life cycles of several local animal species, including those that go through the magic of metamorphosis. A couple live examples will be included! Reptiles and amphibians are defined by certain characteristics that set them apart from each other. Through up-close encounters with several live animals, participants will learn about the characteristics, habitats, life cycles, and adaptations of various species of reptiles and amphibians. Then, we’ll discuss what these two groups have in common. Animals have some amazing attributes and accomplish phenomenal feats! After reading a short book on some amazing animal feats, we’ll use an interactive system to award medals to certain species that set records in the state of CT. Who is the fastest? Strongest? Longest? Several biological props will be presented. Plus, a live snake and salamander will be on hand to accept their honors! What strategies do animals employ to get through harsh winter conditions? Using natural props, animal mounts, and a couple of live animals, we’ll discuss how some animals in CT remain active in winter, while others hibernate, migrate, or go into torpor. If you’re looking for a pick-me-up program to combat the stubbornness of New England’s winters, this may be the perfect one! “Wildlife Welcomes Spring” can be presented anytime in March or the beginning of April. Several live animals, as well as biological props, are used to discuss why spring is a much-anticipated season for wildlife too. Learn what animals you can expect to see and hear as temperatures warm up and days get longer. As we hike around nearby Ongley Pond, we’ll focus our attention on aspects of nature you might not see in warmer months, such as birds bouncing around in bare branches and bright natural colors that pop against a snowy, white background. We’ll also discuss how animals that remain active in winter cope with harsher conditions. Please wear appropriate clothing and footwear! While the trail may be slightly packed down by past hikers, it is not plowed. This program is good for small groups or large groups that need rotation options. Onsite only.